We at Hodges Badge just wanted to take a minute to say thank you to all our customers, old and new, that have supported our business over the past year. Whether you placed an order, “liked” us on facebook, or stopped in to our showroom, we enjoy our interactions with you and wish you a Happy Thanksgiving. The customer with a sense of humor. These are the customers that understand that mistakes happen. They laugh when they go to select a trophy top and see a diary cow instead of a dairy cow. The customer that returns our survey postcards with comments, good or bad, that help us to improve our services, quality control, and product line. The inquisitive customer. Whether it’s asking for a new product combination or finding out how something is made, you keep us on our toes. The customer that refers their friends to us. Your actions really are the highest compliment we receive. Next week, Julie (one of our Missouri-based Customer Service Reps) and I will be heading out to Las Vegas for the annual IAFE (International Association of Fairs & Exhibitions) Convention at the Paris Hotel in Las Vegas. We will be staffing Hodges’ booth (#436- mark us down if you’re coming!) Monday through Wednesday. We will be giving away a $100 gift certificate as well as plenty of samples, so please stop by and say hello. We’ll also have many examples of the rosettes, ribbons, medals, and trophies commonly ordered by fairs. Even if you’re an existing customer that doesn’t need to place an order, we enjoy talking with you and hearing your feedback. I’m sure everyone’s heard the song with the chorus “So you had a bad day” by Daniel Powter. You know, the one that was used for American Idol eliminations a few seasons back? (Click here to view the video if you’ve forgotten). 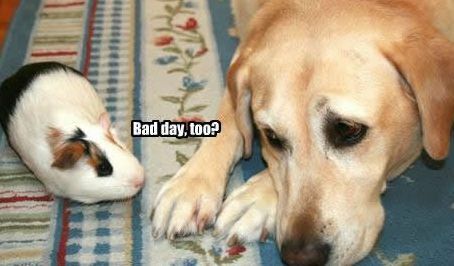 Everyone, especially the students we coach, teach, or work with has a bad day once in a while. It might be a practice that doesn’t go as planned, a fall off a horse, or an injury. Maybe it’s something simple, like a student upset about a grade or finishing “out of the medals” at an event. While a few kind words and a hug are certainly the first line of response when helping those who are having a bad day, at Hodges we have a few things that should come in handy when you need to cheer someone up. All of the products listed above are part of our Express Line– which means they can ship in 72 hours when ordered online, but could go out in 24 hours if ordered by phone. They’re also affordable ($8.50 or less for a pack of 25). Have you used one of our ribbons or other products to help cheer someone up? We’d love to hear your story. Let us know in the comments. Each year, for as long as anyone that has worked at Hodges Badge can remember, the employees have held a rally to benefit the United Way. 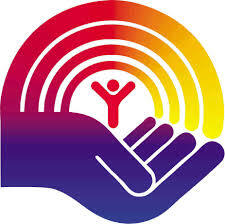 Staff from every department gather together to learn about what projects are currently being supported by their local United Way, and pledge to donate to the cause. This year’s pledge has just been completed, and our 160 employees have combined to donate over $10,000! This generous contribution, along with our company’s Philanthropic Fund pledge, will help support multiple community efforts including early child care and education, workforce development, building low-income housing and ending homelessness. In addition to supporting the United Way, both of our facilities (in Rhode Island & Missouri) host a creative holiday fundraising raffle. With each department donating a gift basket or handmade item, tickets are sold around the office with all proceeds generating a local charity. There is a ton of enthusiasm for the raffles- in Rhode Island the gifts cover three eight-foot tables! Typically, these raffles raise over $1,000. As an individual employee, I know it feels good to be part of a work force and a company that cares about the community. Does your organization or group take part in a charity fundraiser during the holiday season? Feel free to share in the comments. New Special- Free Engraved Logos! In case you haven’t seen the ad on our main page, I just wanted to let you know about a special that Hodges Badge is running through the end of the month (November 30th). With the purchase of $50 worth of engraved items, all logos are free (normally $5.00 each), and there is no limit to the number of pieces you can get. All silver, walnut and rosewood plaques, photo frames, acrylic awards, and Pewtarex plates are included. When ordering, mention Promo Code N1010ENGRP. If you order online, the website’s shopping cart will not reflect the savings, but don’t worry- an emailed confirmation will be sent reflecting the discount. I know it’s been a while since our last “Meet the Rep” feature, but I hope you’ll find this one worth the wait. Today’s featured rep has been with Hodges Badge at three locations, through growth, expansion, and an endless list of technological upgrades. 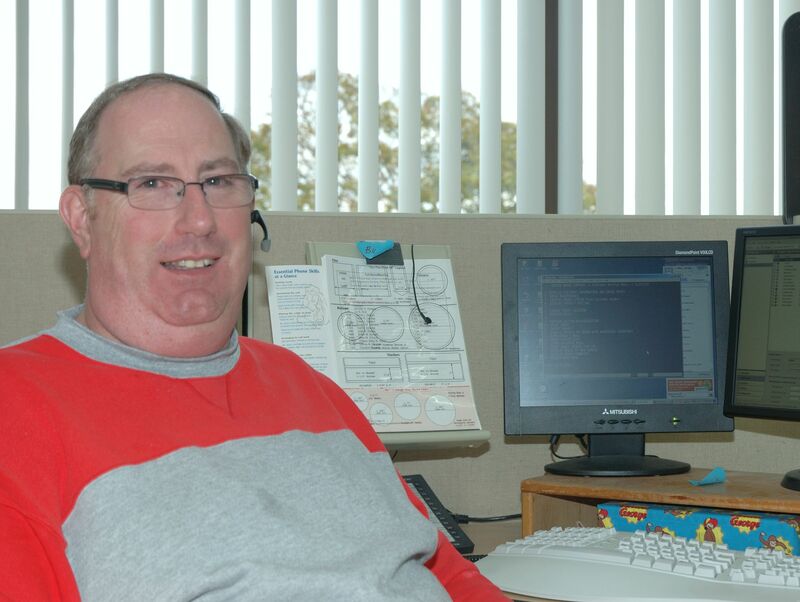 Billy has 32 years of experience in Customer Service, and many of us can’t imagine the department without him. “I’ve been here so long that Hodges is like an extension of family” Billy said. “It’s a part of my life; I’ve grown up with people here” he added. Outside of work, Billy, a native Rhode Islander, admits to staying up watching Red Sox games, following NASCAR, and cooking meals inspired by the chefs of Food Network. So next time you’re speaking with him on the phone, in addition to getting tips on your ribbons and awards, you can also get some advice on what’s for dinner. As I travel across the country speaking to customers at different fairs, events, and trade shows, I usually find myself pointing out ways to help a customer cut costs on their award order. They (the customers) are almost always surprised that someone who works for Hodges would do something that could directly result in the customer spending less with our company. The truth is, I’m not the only one who’s in the habit of helping people save money. Our Customer Service reps do it on the phone all the time. Just why do we do this? What matters most to the company is customer satisfaction and loyalty. Yes, what could have been a $200 ribbon order may now be $170, but their satisfaction will often merit a repeat purchase. And a satisfied customer is more likely to spread the word about Hodges Badge to others that need to buy awards. Just think of the money word of mouth saves us in advertising (haha!). Do you have an example of a time one of our reps helped save you money on your order? Or maybe you have a tip on how to use a product that could help others buying awards? For a list of ideas, check out one of our other posts here.